A native of the United Kingdom, Dr. Foxall moved to the United States in 1982 and graduated from New York Medical College in 1998. After completing his residency at St. Vincent’s Hospital in New York City, Dr. Foxall spent 13 years as a partner in a large primary care medical practice in New Jersey. 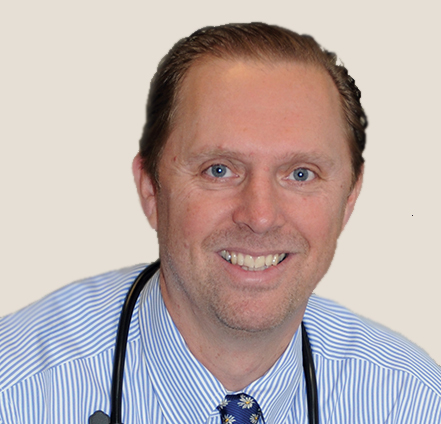 Dr. Foxall started with Wilmington Internal Medicine in 2013. Like all of our healthcare providers, Dr. Foxall has extensive expertise in prevention and treatment of diabetes, hypertension, and hyperlipidemia, supplemented by considerable experience in weight management and metabolic regulation techniques. Ian is married with 3 children, and he and his family are very excited to be here in Wilmington!